Branding is a communication tool, designed to deliver a message. An innovation is like a product in that it needs clear communication of its purpose so that it can be translated into practical uses. At the knowledge stage, a brand should provide a tangible product to be seen and evaluated. Similarly, branding should communicate an innovations value to the consumer. 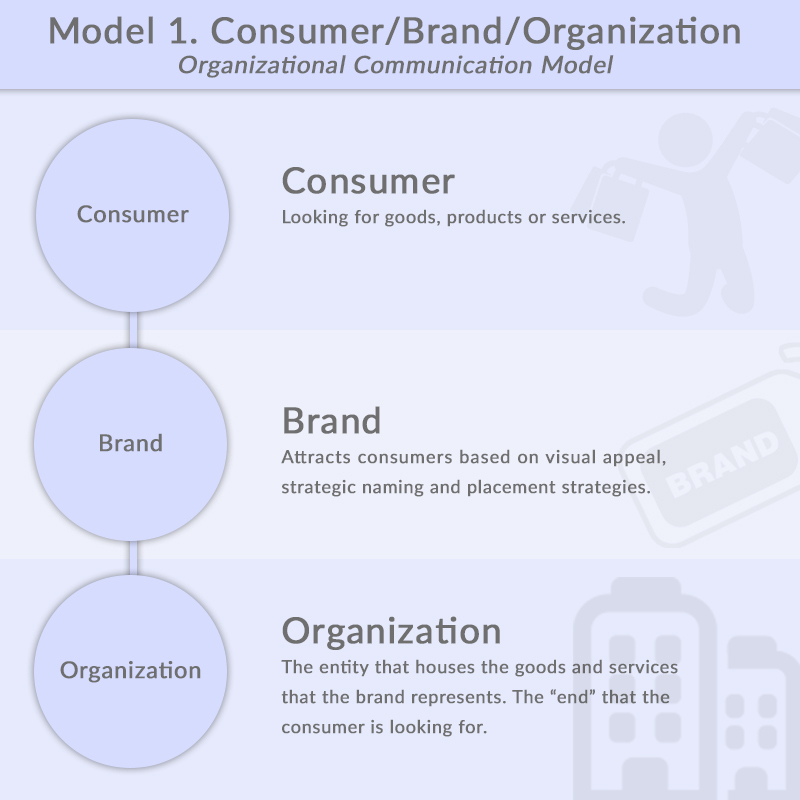 Branding should be the “entry point” (displayed in Model One) followed by strategies that lead the individual or organization to a decision to continue usage of the innovation. When a valuable innovation is coupled with a valuable brand identity and brandmark, the decision making process is facilitated. As individuals implement the innovation into their lives, there must be follow through by the branding organization in order to clearly define the innovation at multiple levels so that it is understandable and accessible for the users. Such efforts allow the innovation to be explained clearly. If done effectively, then an individual or organization should understand the benefits that the innovation provides, leading to confirmation that it is something to be used over the long-term. Again, a brand is only as good as the innovation with which it is paired. Falling short can either lead to rejection or discontinuance. If this occurs at a large rate, then the branding message should be re-evaluated to make sure it clearly communicates the benefits of the innovation. When considering the implications of adopting a branding strategy and examining the multiple steps in the diffusion of innovations, it becomes clear that branding can play a major role in influencing individuals to consider and accept an innovation. This is an excerpt from Conversations in Communication, Volume 1.